Aviation Updates Philippines - Cebu Pacific's $15 million-acquisition of Tiger Airways Philippines has been approved by the Civil Aeronautics Board, its executive director Carmelo Arcilla said. Cebu Pacific, a unit of JG Summit Holdings Inc., entered into a $15 million share purchase agreement and strategic alliance with Tigerair in January. The alliance is expected to create Asia's biggest network of flights to and from the Philippines. Cebu Pacific president and chief executive officer Lance Gokongwei said they are spending $7 million to acquire the 40 percent share of Tiger Airways Singapore Pte Ltd and another $8 million for the 60 percent share owned by Filipino businessmen in Tigerair Philippines. The two airlines are expected to adopt a common booking system beginning mid-March, which will allow passengers to access flights of Tigerair Philippines on the Cebu Pacific website and through its other booking channels. 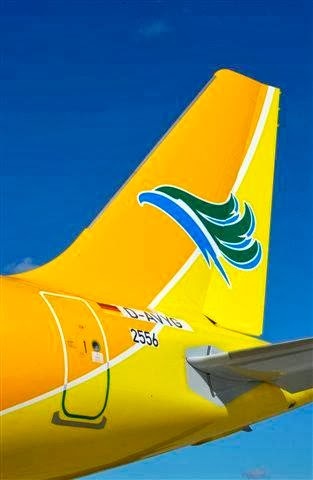 "The Cebu Pacific and Tigerair alliance offers the largest low cost network to and from the Philippines. As we enter the initial phase of the alliance, we will continue to leverage on our extensive route networks, flight frequencies and find ways to provide an even wider range of travel options for all of our customers," Gokongwei earlier said. Cebu Pacific currently operates over 2,200 flights per week with 49 aircraft to 24 international and 33 Philippine cities while Tigerair Philippines currently operates about 118 flights per week with five aircraft to 11 domestic and international destinations from Manila and Clark.